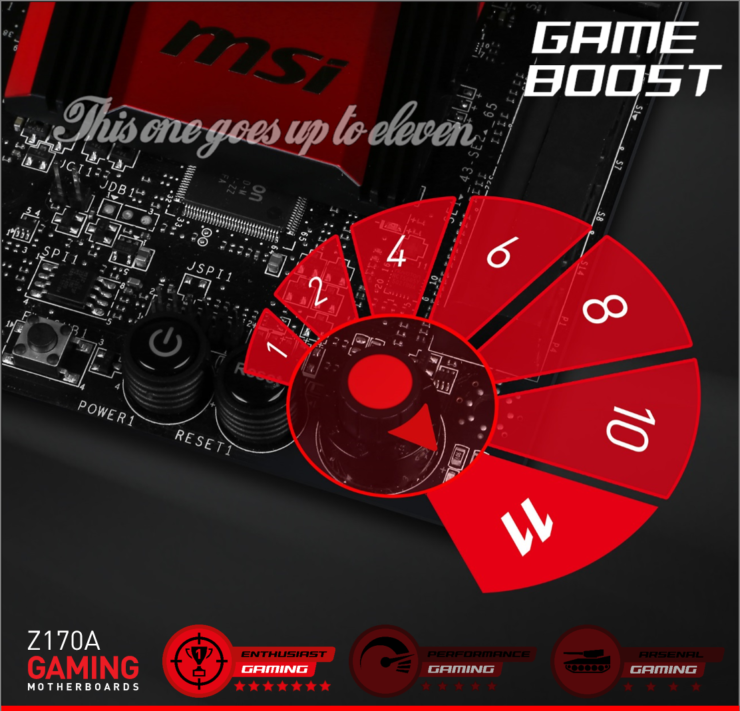 MSI has been showing off their latest Z170A series motherboards since Computex and the latest one includes their Performance Gaming positioned, Z170A Gaming Pro. 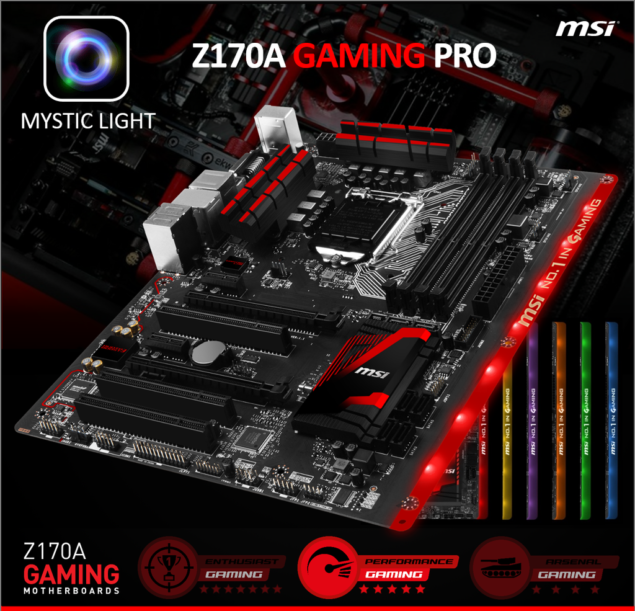 The Z170A Gaming Pro is one of the several Z170A motherboards which will be introduced by MSI in August to mark the launch of Intel’s Skylake processors. The motherboard featuring the LGA 1151 socket is fully compliant with 6th generation processors and we dive in to the details to learn more about the upcoming product. The MSI Z170A Gaming Pro features the LGA 1151 socket that is powered by a 8-Pin connector while the board itself is powered by the 24-Pin ATX connector. The first thing we notice from the design of this board is that it falls in the extended ATX category since the PCB is extended to the right to make room for the fully illuminated RGB LEDs strip that runs from top to bottom of the board. The board features a nice red and black color layout with three heatsinks cooling off the 8 Phase VRM and the Z170 PCH. The The most notable thing about the Pro gaming motherboard is the RGB LED strip which allows users to choose from 16.5 Million colors and 8 different LED effects. Aside from the fancy details adopted by the Z170A Gaming Pro, the motherboard comes with four DDR4 DIMM slots that can support up to 64 GB of capacity with speeds of 3300 MHz (O.C+). Expansion options include two PCI-e 3.0 x16, two PCI-e 3.0 x1 and three legacy PCI slots. 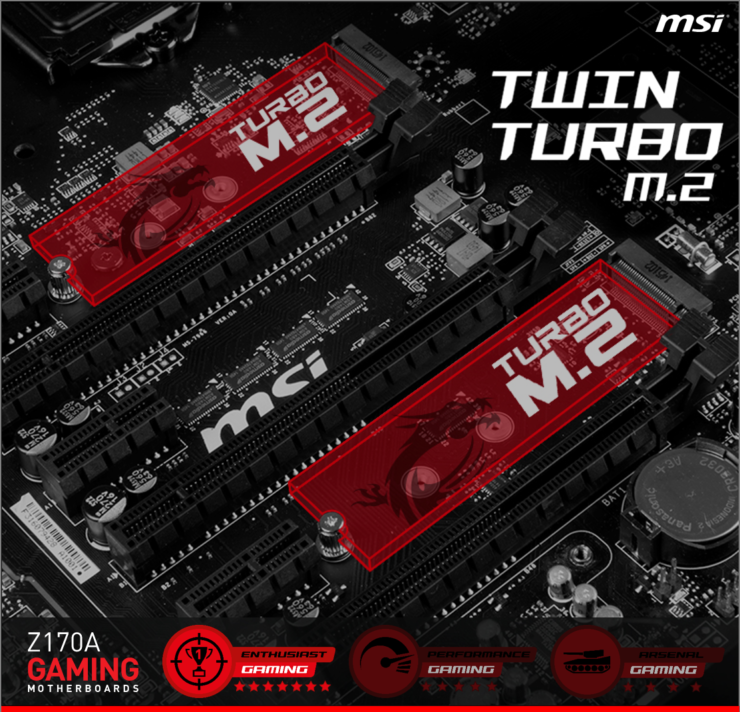 There are not M.2 ports on this motherboard but MSI is designing gaming boards which will make use of up to two Turbo M.2 slots with performance rated up to 64 GB/s in transfer speeds ensuring the best possible performance from NVMe SSDs. 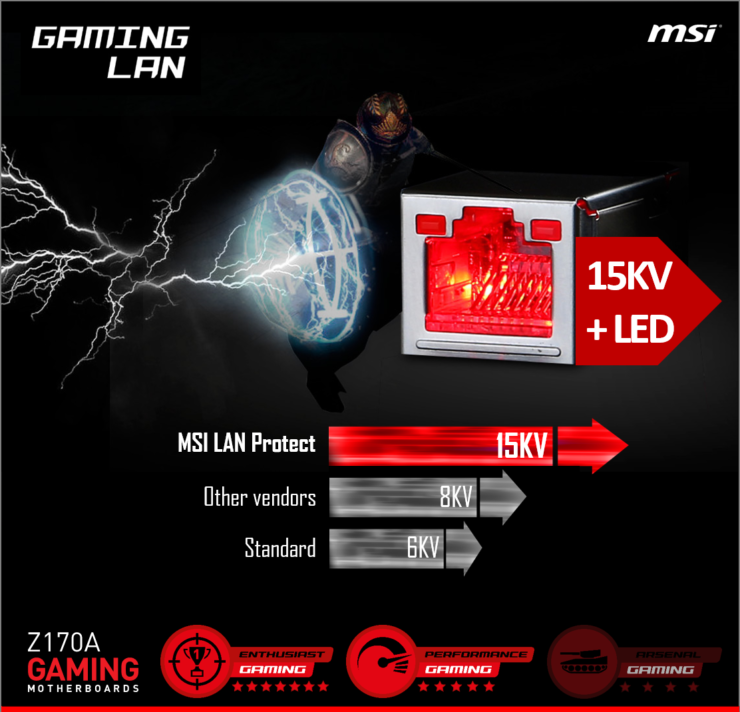 Other features include Game Boost dial which ensures better clock speed boost while gaming and MSI LAN Protect that has 15KV anti-surge protection. Storage options on this motherboard include 6 SATA III 6 GB/s ports and a single SATA Express port. There’s the MSI Audio Boost chip allocated to its own isolated PCB. Internal USB headers include two USB 2.0 and a single USB 3.0 header. 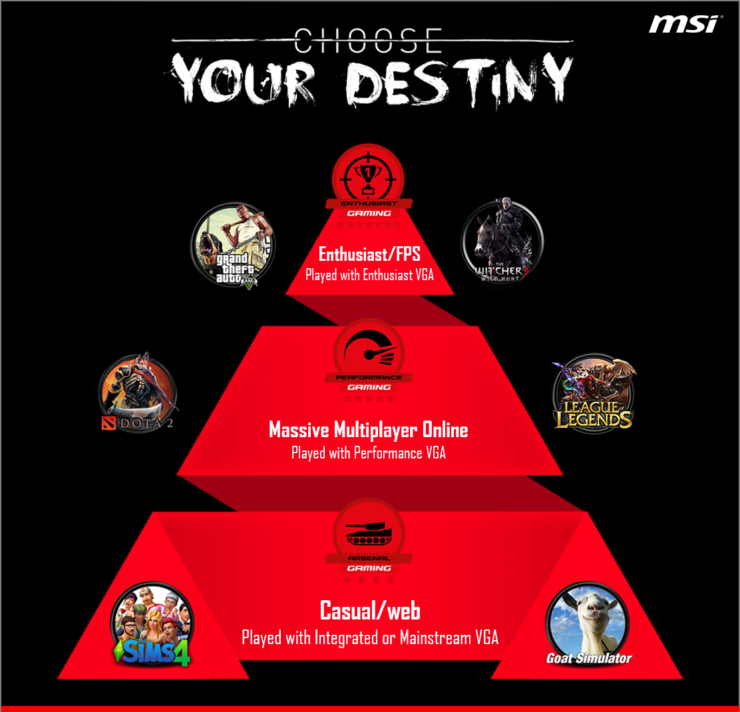 MSI is preparing an entire top to bottom lineup, just for their gaming products. These will include top tier and enthusiast grade “Enthusiast Gaming” motherboards, performance minded “Performance Gaming” boards like the Z170A Gaming Pro itself and the entry level “Arsenal Gaming” motherboards for casual web based gaming. The Z170A KRAIT Gaming which was covered by us a few weeks ago falls in the Performance Gaming category while the motherboards such as the MSI Z170A-G45 Gaming and MSI Z170A-G65 Gaming which were unveiled back at Computex will be positioned in the top-end market. Of course, MSI will also announce their legacy and overclock based lineup and show them in the days coming ahead but overall, the Z170 chipset based products are looking really nice in terms of features and designs. 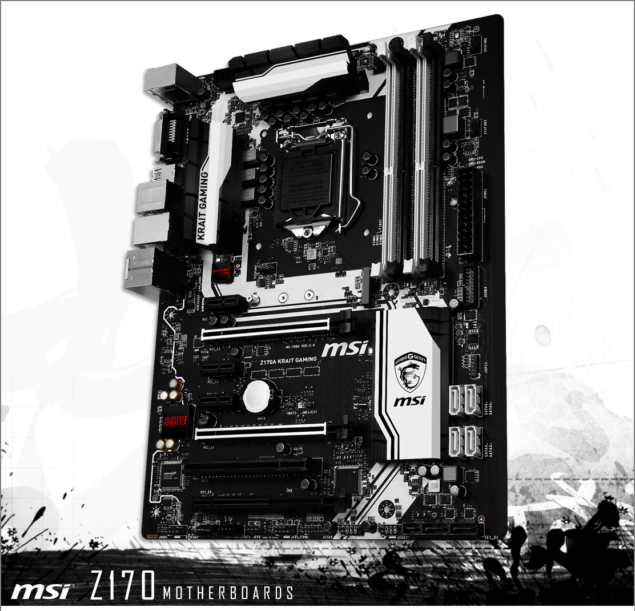 Update: MSI has also teased a high-performance Z170A Gaming series motherboards which is listed under the “Enthusiast Gaming” tier. 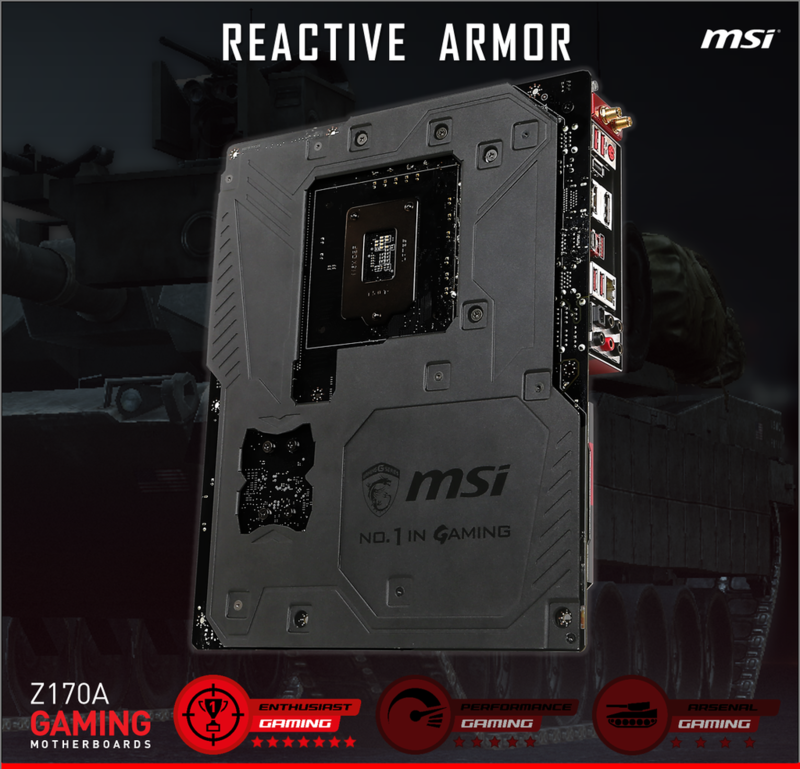 The motherboard which might be the Z170A G45 or G65 Gaming comes with a large reactive armor on the back and is loaded with features.